Aha, Hunting High and Low, Inside Sleeve, London, 1985. Exclusive, limited time offer of archival photographs from the archive of the Aha photographer Just Loomis. These photographs are printed on top quality archival paper and each has an authenticating stamp on the back from the Just Loomis Studio. 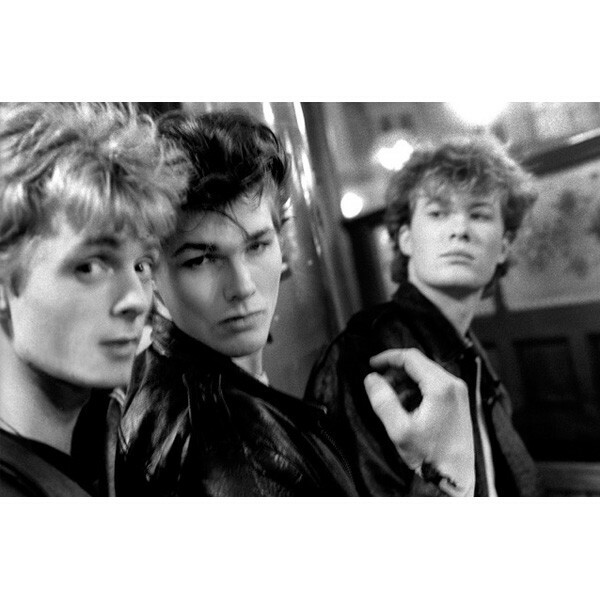 These photographs were chosen specially by Just as his favorites and are being offered at an affordable price for all the Aha fans that have inquired about owning these iconic Aha images. Archival Pigment Print on Photo Rag Paper. Stamped and Authorized by Just Loomis. Aha, Hunting High and Low, Inside Sleeve, London, 1985. Exclusive, limited time offer of archival photographs from the archive of the Aha photographer Just Loomis. These photographs are printed on top quality archival paper and each has an authenticating stamp on the back from the Just Loomis Studio. These photographs were chosen specially by Just as his favorites and are being offered at an affordable price for all the Aha fans that have inquired about owning these iconic Aha images. 8.5" X 11" Archival Pigment Print on Photo Rag Paper. Stamped and Authorized by Just Loomis.